An expert on local and urban democracy, Dr. Russell Arben Fox frequently comments on Kansas and Wichita politics through multiple media outlets and is an associate editor of the blog “Front Porch Republic” (https://www.frontporchrepublic.com/). 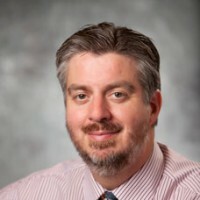 He has also been published in American Behavioral Scientist, Commonweal, Dialogue, The Good Society, Journal of Mormon History, Perspectives on Politics, Philosophy East and West, Polity, The Responsive Community, and The Review of Politics, and he has written multiple book chapters and encyclopedia entries. He and his wife, Melissa, have four daughters and have lived in Wichita since 2006.